One. One & One is masterful dance that is as emotionally vulnerable as it is frank about the dissonance that we sometimes feel in a world of multiple personal, existential and spiritual possibilities. 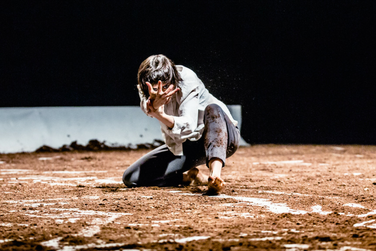 In this exhilarating performance, powerful music pulsates with energy as these exquisite dancers cover the stage with soil in an attempt to connect to the earth as they reach for the sky.